Voters go to the polls in Oldham West & Royton today to choose a replacement for the late Michael Meacher who sadly passed away in late October. Oldham has been described as a "one party state" due to Labour's dominance in the city as the former party of the working class. But the city that once elected Sir Winston Churchill - thought by many to be the greatest and most principled leader we've ever had - deserves better than four more years of Labour, Jeremy Corbyn and the IRA supporting communist tax dodger, Jim McMahon. UKIP is the only party that can end Labour's rule in Oldham and give people in the north and MP that works for real people, not corporate interests or unaccountable quangos and organisations. 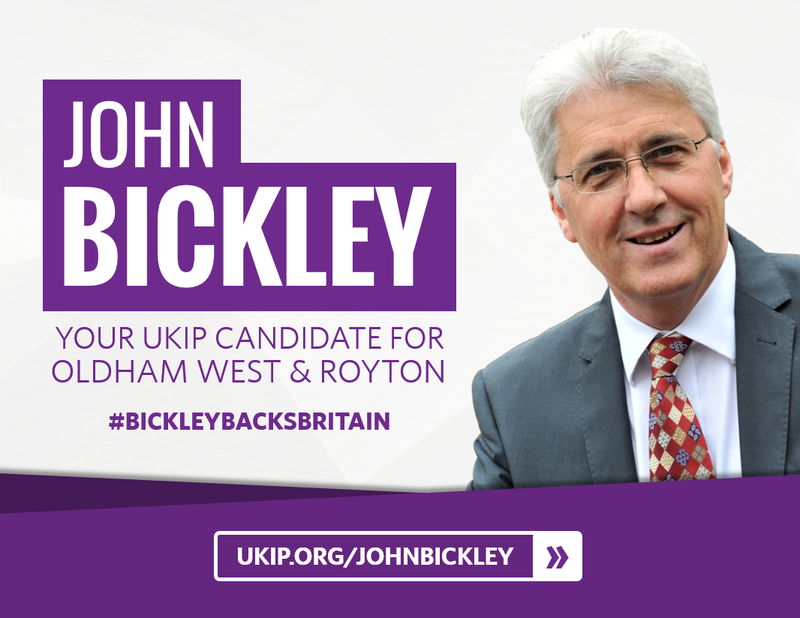 John Bickley is a successful businessman from a working class family, not a career politician.